... back in Winona Lake Indiana by the summer of 1904 and finally marry his love Nelle Cooper. 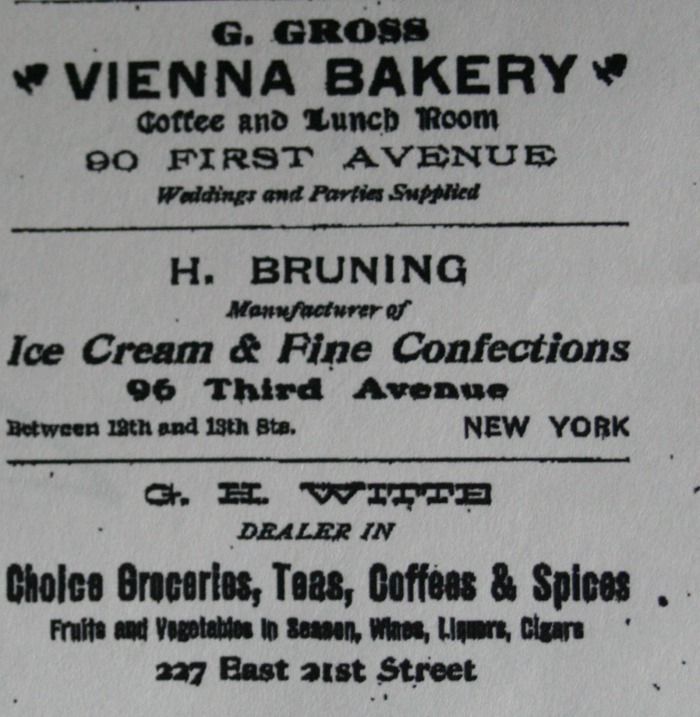 He and Nelle spent a lot of time in Brooklyn each year because William owned and operated part of his Bruning and Sons Coffee, Spice and Tea Import Business there and his cousin also owned a candy store nearby. Brooklyn was also the home base for Nelle's acting troupe. In the spring of 1904 they made their regular trip to Brooklyn bringing along their "niece" Chloe to spend some time with them and to sail on the General Slocum for a church picnic. 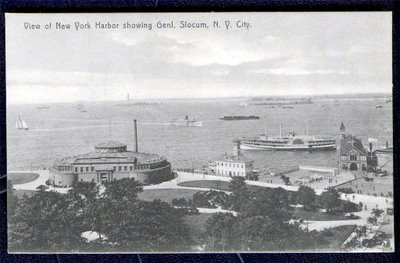 Above: This postcard shows the General Slocum on a happy day. Left: Nelle and Chloe planned to attend the annual St. Mark's German Lutheran Church Sunday School picnic June 15th, 1904 with William's cousin John Bruning and his wife and two girls. However, that morning Nelle had one of her headaches and they gave away their tickets. Less than an hour later, they heard that the General Slocum had caught fire on the East River. ... to follow. Reports of at least 1030 hundred dead from drowning, burning, and being stampeded to death followed over the next few days. To read more about Edward O'Donnell's fantastic account of this disaster in his book: Ship Ablaze, click here. 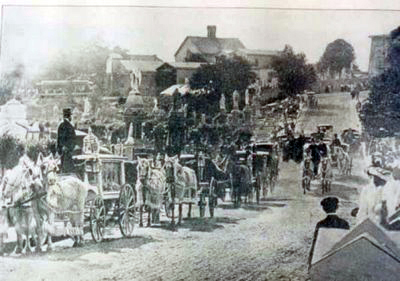 Above: Slocum Funeral Procession - the white carriages are for children. Nearly everyone in the German community lost at least one loved one. Some families were completely wiped out. To see the entire St. Mark's Brochure for the ill-fated 17th Annual Excursion June 15, 1904, Click here for several related Slocum documents. 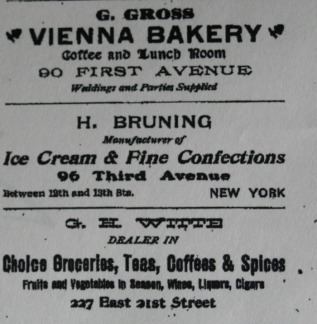 Above: Bruning family funeral announcement taken from The Brooklyn Eagle after the steamship burned. John was William H. Bruning's cousin. To read the June 15, 1904 Evening Edition about the Slocum disaster, click here.